1. 10 Alternative Uses for a Salad Spinner. I use my salad spinner for greens all the time, but loved some of the unique ideas shared in this list from the kitchn. 2. 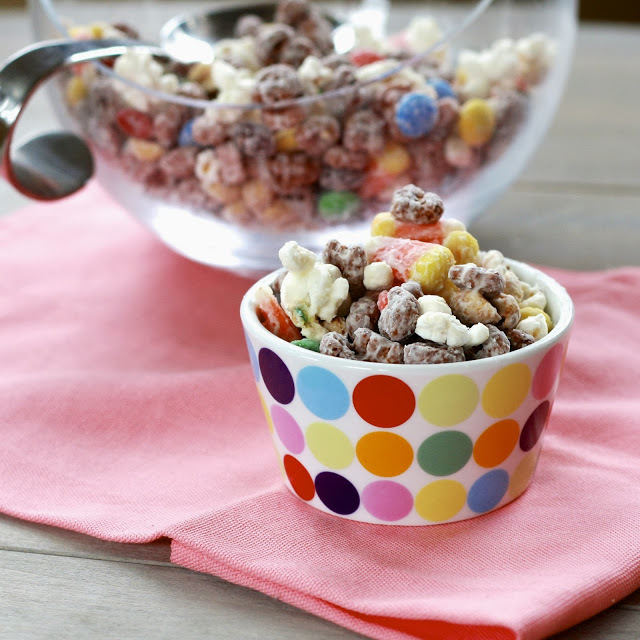 Last October, General Mills sent me their infamous Monster Cereals and I had fun making Monster Cereal Treats and my all-time favorite October STAPLE: Monster Munch (pictured above). This year they generously sent me more cereal and while I had every intention of creating something new, I couldn't stray from my tried and true. We have two weeks until Halloween...pick up your favorite Monster Cereal variation and give one of these a try! 3. I'm occasionally sent cookbooks from different publishing companies to review, if I so choose, on the blog. They're never paid reviews and I won't even mention a cookbook unless it's something I genuinely enjoyed. 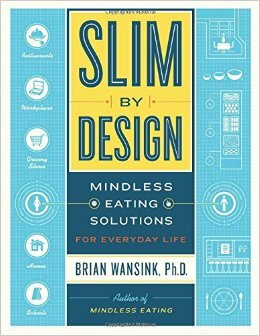 Most recently I received Slim by Design: Mindless Eating Solutions for Everyday Life. While I'm not trying to lose weight, I do believe the tips in this book are incredibly helpful at addressing many of the bad eating habits that society in general tends to fall into. I was fascinated by some of the research done on how certain changes in restaurants, grocery stores, our workplaces, our homes, and our kid's schools could go a long way in impacting our overall health. It was a quick read, complete with a "checklist" at the end of each section allowing you to see how your own situation stacks up in terms of healthfulness / mindful eating practices, as well as a lot of practical ideas on how to be a catalyst for change. 4. Shine Theory: Why Powerful Women Make the Greatest Friends. I can't remember which blog I read that linked to this article, but I absolutely love the premise behind this idea. Let's do less comparing ourselves (and feeling inferior to) strong, powerful women, and instead befriend them! 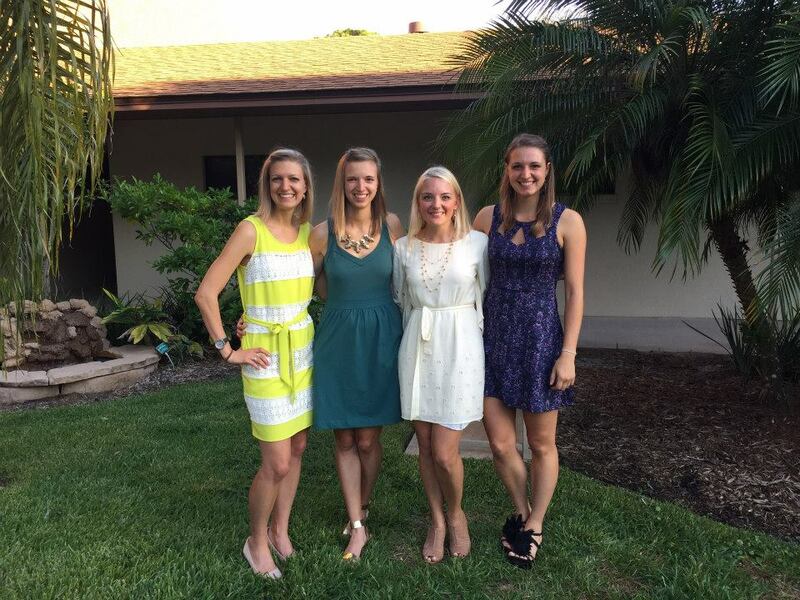 The picture above is me, my two sisters, and my cousin Ashlyn...three pretty amazing women that it would be very easy to feel intimidated by. Obviously I'm related to all of them, but I would choose them as friends anyway because being around them makes me shine more, just as the article explains!